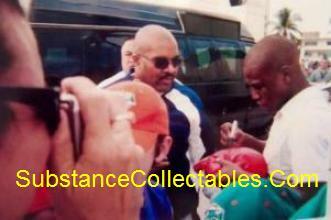 Joe Frazier viewing at the Wells Fargo Center in South Philly on Friday (10AM – 5PM) & Saturday (10AM – 1PM). In addition to the Monday service for Frazier, apparently he will also “lie in state” at the Wells Fargo Center in South Philly on Friday (10AM – 5PM) & Saturday (10AM – 1PM). “Legendary heavyweight boxer Smokin’ Joe Frazier died Monday after a bout with liver cancer. He was 67. On Wednesday Frazier’s family released funeral details. Smokin’ Joe’s body will be lying in state at the Wells Fargo Center Friday from 10 a.m. to 5 p.m. and Saturday from 10 a.m. to 1 p.m.
Not all boxing fans are Manny Pacquiao’s fans. But according to most Internet opinion polls, most of these fans are supporters or followers of the Filipino boxing superstar. 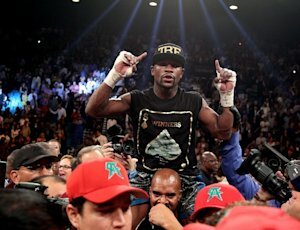 Yet a good number of these boxing fans are sick and tired of a mere mention of the pound-for-pound king’s name. There are a thousand and one reasons for loving or hating Manny Pacquiao. But the real reasons for hating him are few and even understandable, to say the least. On the flip side of things, the reasons for loving him are far greater than the reasons cited by those who hate him. Boxing fans who are mesmerized by Pacquiao’s meteoric rise to greatness are saying the Filipino boxing superstar is beyond compare in many ways. 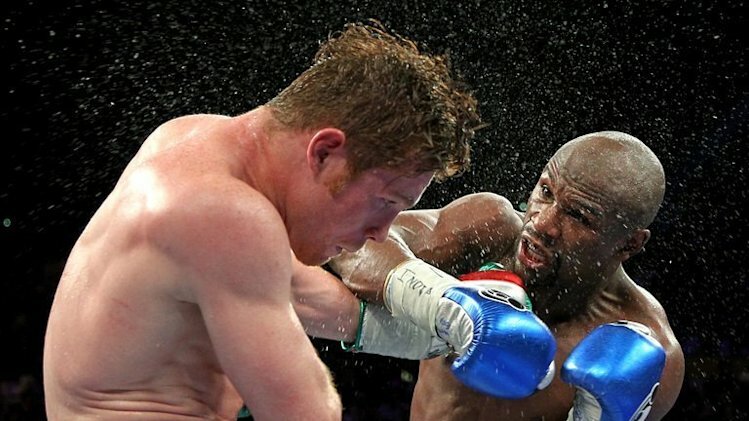 These diehard fans say there is little reason why some boxing fans should hate him. It seems only those who are envious of his success find him not worthy of their support. Family-oriented boxing fans say they find Manny Pacquiao a real good role model to their growing kids who are into sports in general and into boxing in particular. But why is he considered by many as a good role model? In one of the social functions where Pacquiao was conferred a special award for his concern about cancer-inflicted people, a couple who had three teenage kids was asked by a broadcast journalist why they were supporting Manny Pacquiao. “Now that he is a millionaire many times over, he gives up a large chunk of his wealth to poor but deserving countrymen. He supports charitable institutions that help the poor and the sick, grants scholarship to poor but deserving students and shares his winnings to just about anyone who needs help and assistance,” the family man said. “Certainly he is a good example for the youth of today,” he added. Boxing critics are saying Pacquiao is nothing but a media creation. And a good number of boxing fans hate him for a number of reasons. To the Pacquiao haters, just a mere mention of his name will almost instantly trigger a heated and lengthy debate. In some debates, Pacquiao haters would almost zero in on the boxer’s alleged use of performance enhancing drugs, cherry-picking opponents and womanizing, among other things. They are sick and tired of Pacquiao’s continued rejection of Floyd Mayweather‘s demand for a random blood test and point to it as the main reason why the long-awaited Pacquiao-Mayweather fight would not happen. They are likewise sick and tired of Pacquiao’s continued practice of cherry-picking his opponents to assure his victory in every fight. A case in point they said is the upcoming Pacquiao vs. Mosley fight which recently created a media frenzy when boxing fans called for a boycott to the fight recently. Pacquiao haters claimed the Filipino boxer knew Mosley is past his prime and the pound-for-pound king should not have agreed to the fight. Boxing fans who hate Manny Pacquiao agree the popular boxer is nothing but a media creation. They said Pacquiao has to take on real opponent such as Tim Bradley, Andre Berto, Sergio Martinez, among others, to prove his widely admired boxing skill. Still some boxing fans are sick and tired of Pacquiao’s womanizing despite media’s alleged cover-up. They asked why Pacquiao has been tagged as a good role model for the youth when he is setting a bad example by having relationship with other women outside of his marriage. Boxing fans have a lot of different reasons for hating or loving Manny Pacquiao. But some boxing fans say they are sick and tired of the PacMan. Are you sick and tired of Manny Pacquiao? 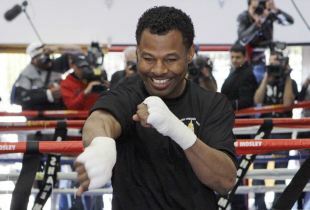 Shane Mosley has revealed he is aiming to run the gauntlet of Manny Pacquiao and Floyd Mayweather Jr before hanging up his gloves. 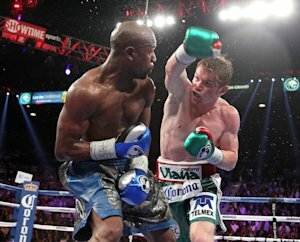 Mosley (46-6-1) faces Pacquiao for the WBO welterweight title at the MGM Grand on May 7, one year after he lost to Mayweather on a unanimous decision. The 39-year-old Mosley, who is without a win since January 2009, is aiming to bow out on a high note, having shown signs of a steep decline in recent years. He was discussed as the pound-for-pound king at the turn of the century, before falling to back-to-back defeats against Winky Wright in 2002. Mosley has accused Pacquiao of being easy to hit, and he is taking heart from the efforts of Antonio Margarito, who battled valiantly against the Filipino last year before coming off worse in a points decision. “Pacquiao’s not the hardest person to hit so I’m going to have a pretty good advantage with being able to hit him,” Mosley said. “I think it’s going to be an exciting fight because both me and Manny like to fight. We both fight hard and we come to fight.